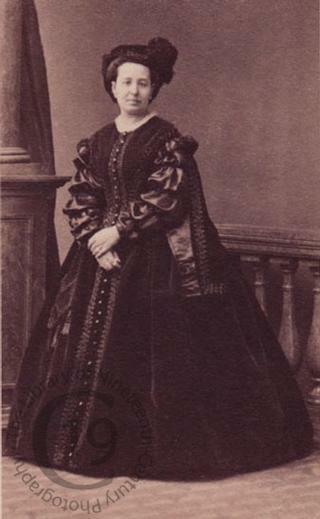 The Italian soprano Rosina Penco was born in Naples in 1823. She sang Leonore in the world première of Verdi’s Il Trovatore (19 April 1853). She died in Tuscany on 2 November 1894. She is probably seen here costumed as the eponymous heroine of Donizetti’s Maria Stuarda, based on Schiller’s life of the tragic Queen of Scots. Photographed by Disdéri of Paris.